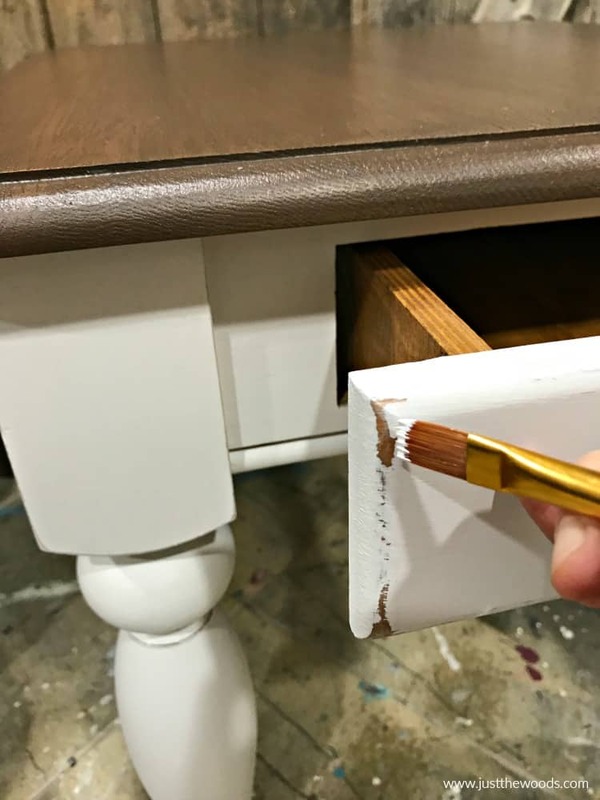 Touch up paint is something we don’t always think about when we refinish furniture. But touch up furniture paint is basically a necessary evil because, well, life happens. 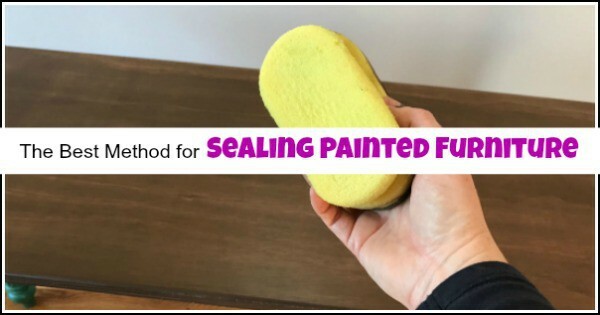 Whether you need to touch up scratched furniture paint or maybe you went a little too hard on distressing here is a simple furniture fix to help you. 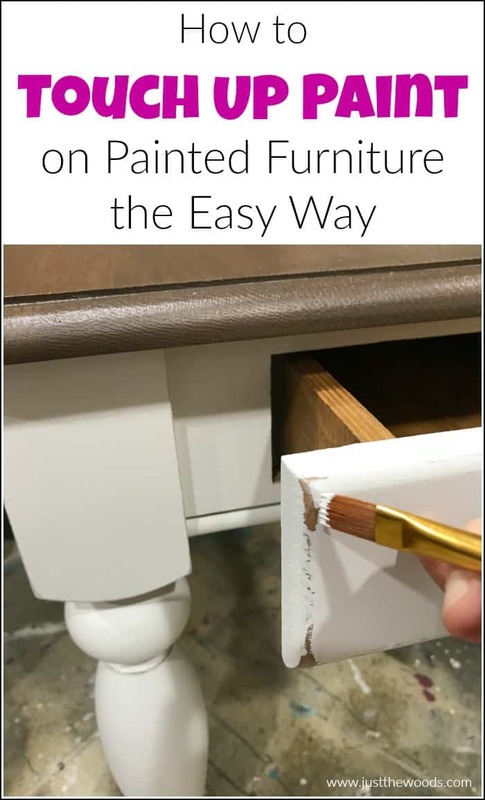 Disclosure: This painted furniture touch up paint post contains affiliate links for your convenience. 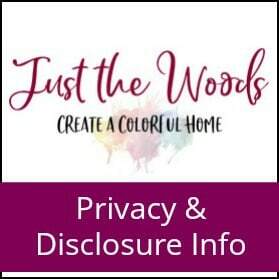 Click here for my full disclosure policy. 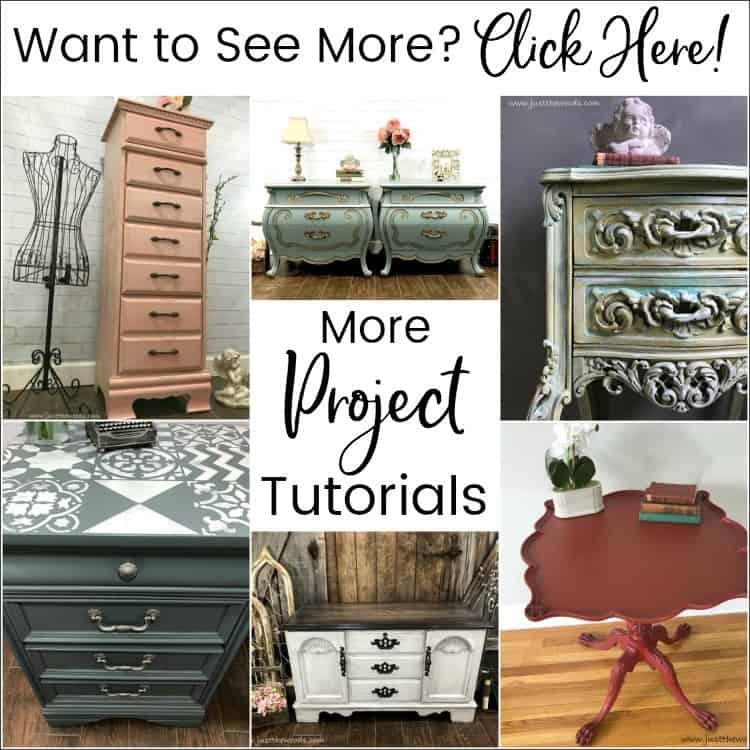 If you are new to painting furniture or have a few projects under your belt then I’m going to assume you have done a distressed project or two. 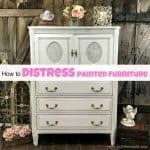 Distressed painted furniture is so abundantly common. 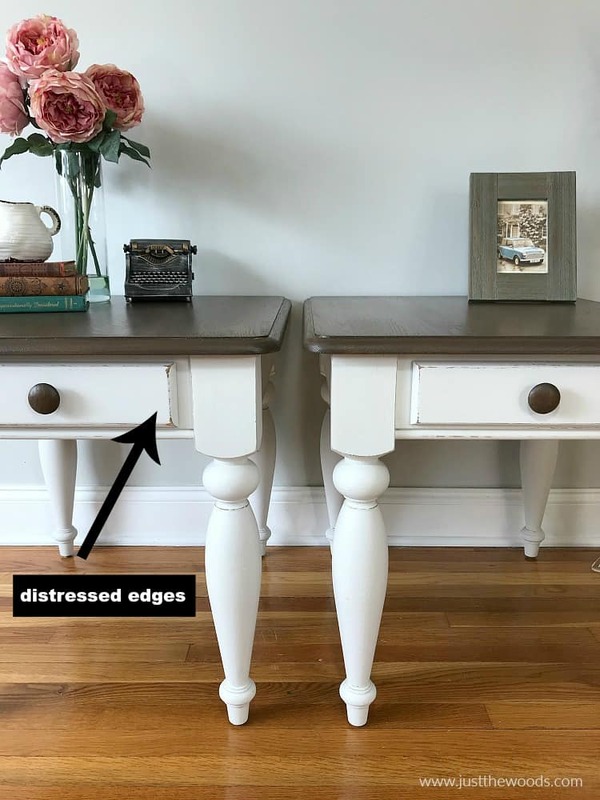 If you are new and still need some direction in distressing painted furniture then make sure to check out: How to Distress Painted Wood. 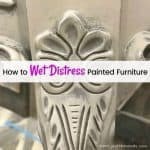 If you have the distressing part down, then you may have seen overly distressed painted furniture. Or maybe a customer requests distressing and you distress a little more than they want. That is exactly what happened here. 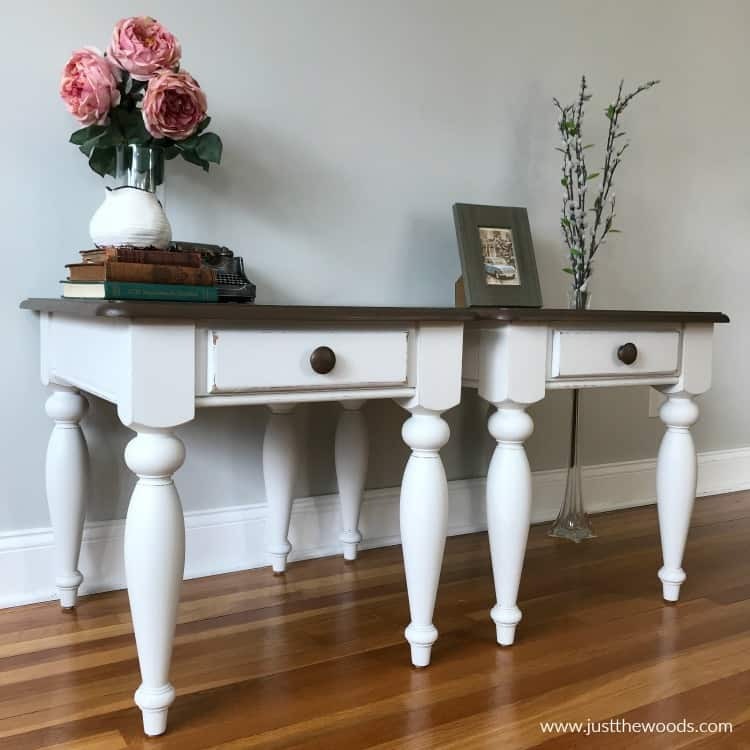 These white painted tables with wood stained tops are custom. The request was a dark stain for the tops with white distressed paint for the rest. Simple, beautiful and updated from the original orange finish. 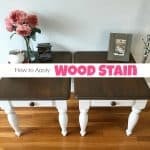 The tutorial on the makeover for these tables can be found here: How to Apply Wood Stain for an Amazing Table Refinish. Look closer to the distressing around the drawers. What may be perfect for one may be a bit too much for someone else. With a closer look, I could see where she wanted a little less distressing on the drawers. 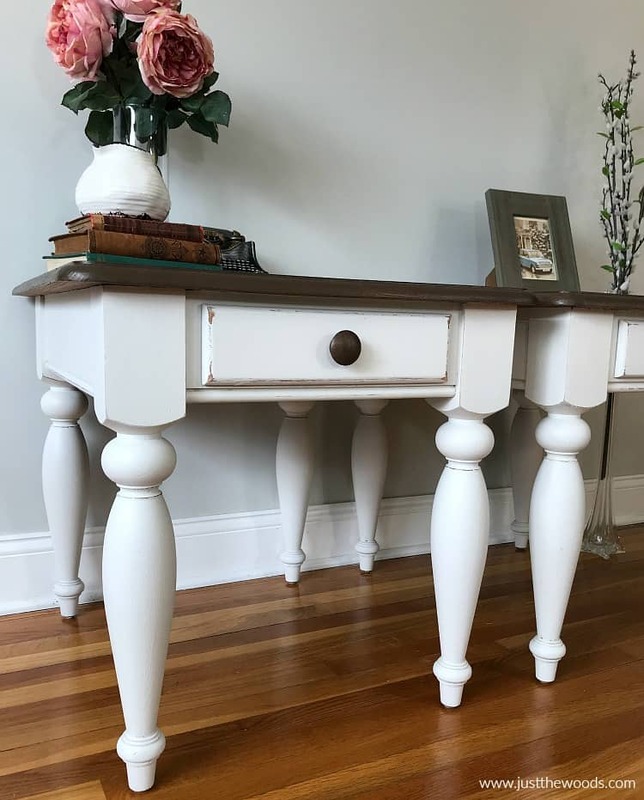 Luckily, this is an easy furniture fix that is achieved with a small brush and a little touch-up paint. Back to the shop the tables go. 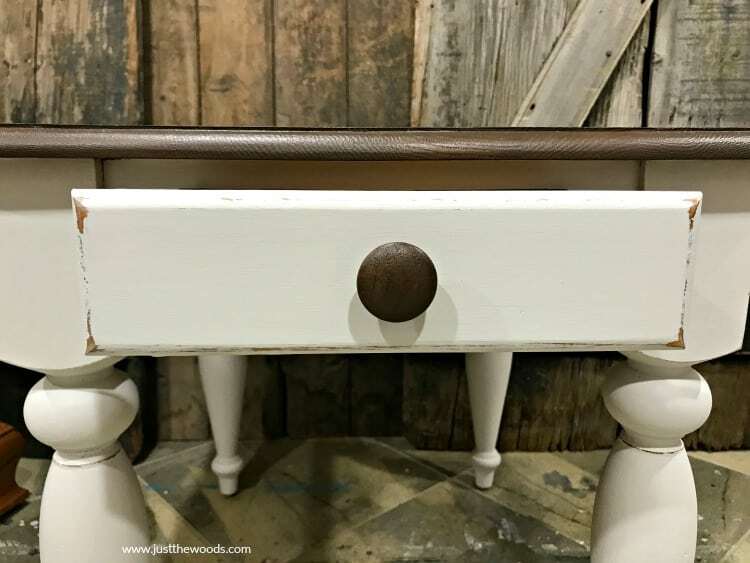 Here is a closer look at the distressed table drawers. From the original photos, my customer got more of a “chipped” paint feel than a distressed feel. We are about to touch up these painted drawers. Since the tables are literally just finished there aren’t many ‘prep’ steps to take. 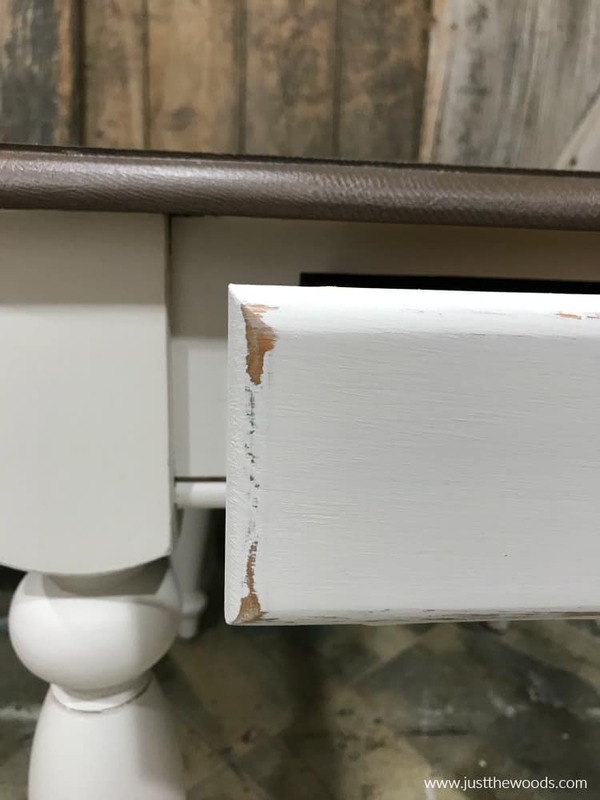 But if you need to know how to fix scratches on wood painted furniture that you have had for a while, then you should give a light sanding/scuff to the immediate area around the scratch or touch up spot. (I hope that makes sense). 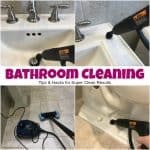 To touch up these corners grab a small, clean artist brush. 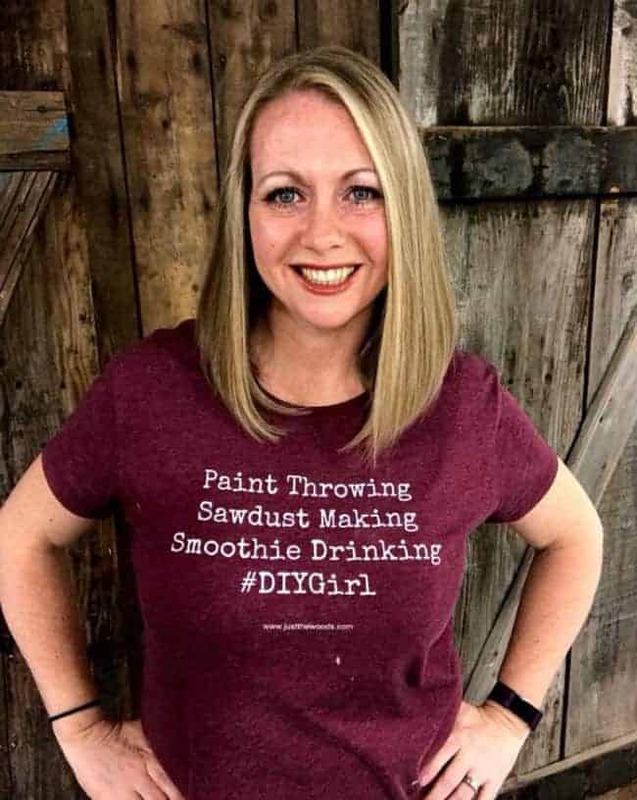 You can find some at your local craft store or online HERE. 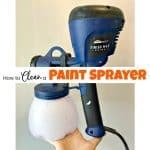 If you do a lot of detail work you can also opt for a larger kit like the one I use HERE. 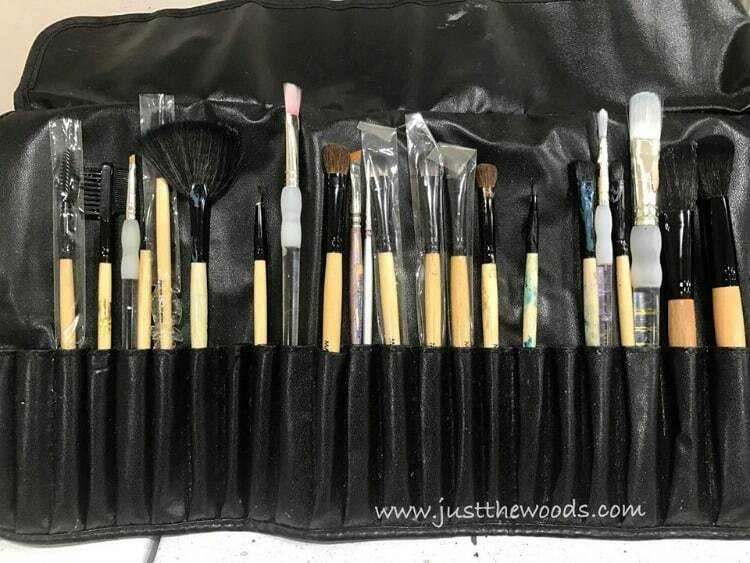 These are actually makeup brushes! Dab your brush into your touch up paint and wipe some off onto a paper towel. 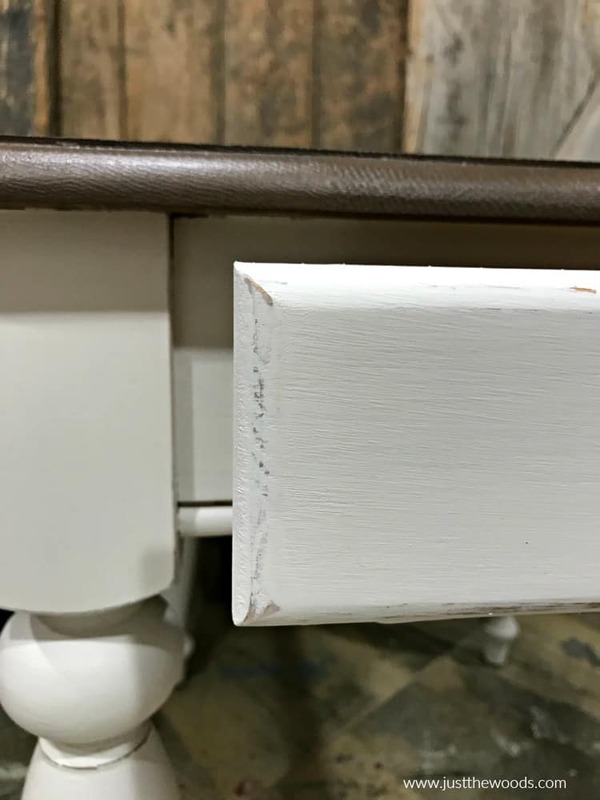 Since we are merely touching up over distressing or scratches you want to feather the paint onto the surface so that it blends well with the original finish. This tends to work better with a solid color than with a project where layering or multiple colors are used. Next, go back and distress just a little and make sure to apply your sealer again to the area that has been touched up. I apply the sealer in the same manner as the touch-up paint when working with a small area. When working on a larger area – like the entire drawer for example. I would apply the sealer over the whole drawer and not just the small spot. Use your discretion here on what would be best. 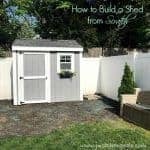 Ready for your next project? Make sure you are working with great products. You can find great furniture paint, stains, sealers and more online HERE. 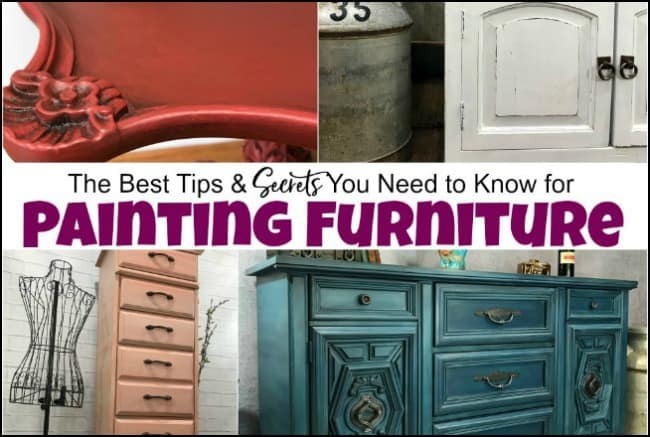 For more tips and tricks for painting furniture, you will need to check out: All the Tips and Secrets You Need to Know for Painting Furniture.